George Eliot got it right when she said ‘Gems have life in them; their colours speak, say what words fail of’. And during Diwali Eliot’s words seem to ring especially true — the dazzling colours and sparkle of stone jewellery seems to have caught the fancy of the Diwali shopper this year. Increasingly, UAE residents have been seen coupling sequin-embellished traditional ensembles with some stunning precious and semi-precious stone jewellery to create that head-turning effect. The new trend is to accessorise rich lehengas and bright saris with multi-layered necklaces studded with diamonds, rubies, sapphires and emeralds, adding a classic statement earring, a pair of beautiful bangles or even a maang tikka and kamarbandh. And this is a view corroborated by top jewellers in the UAE. ‘This festive season rubies and emeralds are trending in the precious stone segment and so is tanzanite in the semi-precious segment,’ says Praveen Bangera, Retail Head, Bafleh Jewellery. Yet another festive favourite this season is jewellery combining polki diamonds with precious stones. Made from uncut natural diamonds polki creates a regal look and accentuates traditional Indian wear. ‘Polki diamonds combined with precious stones are most sought-after now. Special statement pieces made with carved precious stones in diamond and uncut diamond jewellery are also in high-demand,’ says Rashi L.J, managing director, Legacy Fine Jewellery. With the success of Bollywood movies such as Padmaavat and the upcoming trailer of Manikarnika starring Kangana Ranaut, layering of jewellery and polki sets studded with pearls and coloured stones are topping the Diwali wish list. Chandbali polki and diamond earrings worn by Deepika Padukone in Padmaavat and Kangana’s necklaces and chokers with layers of pearls and diamonds are most preferred. To meet customer’s imaginations and demands, jewellery houses have unveiled their signature Diwali collections. 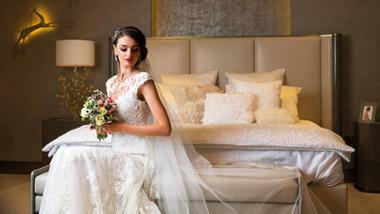 At Malabar Gold & Diamonds the in-house design team has created over 100 new styles. ‘Our brands Mine, Era and Precia are perfect examples, where we have used precious and semi–precious stones sets in gold to make Diwali truly memorable,’ says Sreejith Kumar KV, head of diamond procurement in Malabar Gold & Diamonds, Dubai. The Era range has a collection of uncut diamond jewellery with red rubies and green emeralds inspired from Indian culture. The Precia range is for gemstone lovers as it has gold jewellery designed with rubies, emeralds, yellow and blue sapphires. Mine is a complete diamond collection. 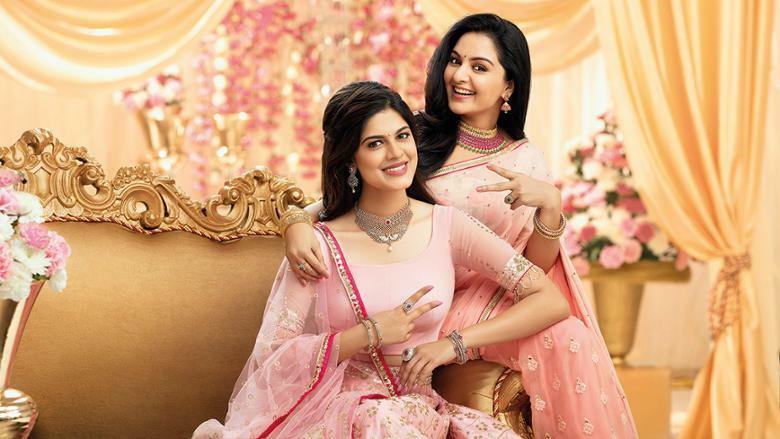 Kalyan Jewellers, too, has launched a new brand called Muhurat, which includes an exclusive collection of polki, kundan, antique and uncut diamond jewellery. ‘Our Muhurat range is specially designed for special occasions such as festivals and weddings. We have also included several new styles in the Rang collection of precious and semi-precious stone jewellery,’ says TS Kalyanaraman, chairman and managing director Kalyan Jewellers. At Joyalukkas jewellery house, the research for a new range begins months before Diwali. ‘A team of researchers study the pattern of the styles that are in trend. The information is then passed on to the artisans, who come up with a unique jewellery collection. This festive season our collection includes intricate heritage jewellery in gold, diamond and Polki,’ says Joy Alukkas, chairman and managing director of Joyalukkas group. 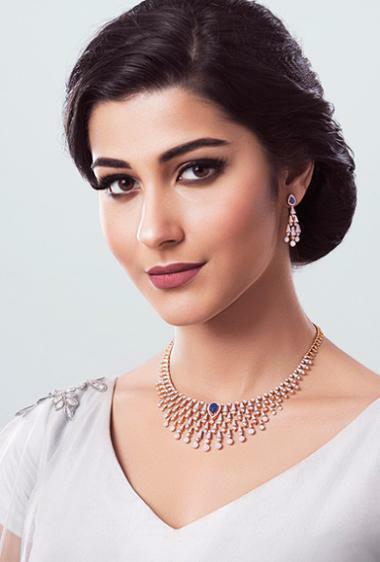 Sky Jewellery’s festive range includes the Navratna diamond and Mangalsutra collection. Legacy Fine Jewellery presents selective designs in uncut diamonds, intricate detailing in carved precious stone and precious stones in pastel colours. Bafleh Jewellery has introduced a special collection for Diwali along with a ‘Mounting Jewellery exhibition’. As part of this promotion, customers can bring their old jewellery and can chose semi-finished jewellery that can be set within two to three days. 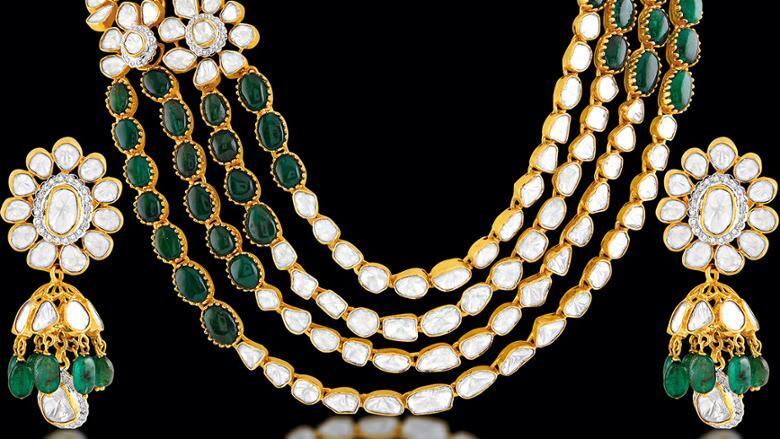 ‘Mounting jewellery is semi-finished gold jewellery design wherein no diamond or colour stone is set in the ornament. The customers can choose their desired stone and size. The artisan then sets it accordingly,’ explains Bangera. Gemstones have been valued throughout history and are much sought-after. They are formed due to mineral deposits and chemical reactions under the deep depths of the Earth and are therefore considered rare and valuable, and are usually family keepsakes. The four precious stones are diamonds, red rubies, green emeralds and blue sapphires. Red rubies from transparent red corundum stone are considered second only to diamonds in hardness and brilliance. Blue sapphires too belong to the corundum stone family of minerals. Green emeralds are from the beryl group of minerals that also have the semi-precious stone aquamarine. The rest of the stones including pearls (even though they are not stones) come under the semi-precious jewellery category. When buying these rare gems, buyers need to keep in mind a few important factors. ‘While choosing stone jewellery, four Cs should be considered — colour of the stone, cut, clarity and carat,’ suggests Joy. He advises customers choose the colour of the stone that suits their skin tone. High-quality gemstones have pure colours and greater transparency. Interestingly it’s not the size as much as the cut of the stone that matters. ‘The cut refers to the shape of the stone and it determines its shine, clarity and quality. Customers should also check for the gold carat as it determines the value of the jewellery item,’ says Joy. For those who choose birthstone jewellery, the choice is made on personal belief as birthstones are thought to bring in health and good fortune to their wearers. While some people go according to birthstone charts others consult astrologers to select the right gem. Whichever gemstone you fancy setting it in, gold adds value and beauty to the ornament. ‘Rubies, emeralds and sapphires – all look great with gold. But choosing three or more colours in a single ornament can spoil the aesthetic value of the design. So, keep it simple and elegant,’ suggests Kumar. With the introduction of gold colour variants such as rose gold and white gold shoppers have more options on hand. Diwali is a spectacular, flamboyant festival that marks the victory of light over darkness and the beginning of the New Year for some Hindus. ‘Every occasion demands a suitable accessory. In Diwali most women wear bright colours with heavy embellished dresses. I recommend accessorising them with an uncut polki diamond necklace studded with precious stones or coloured enamel,’ suggests Rashi. The versatility of stone jewellery makes it multi-purpose too. Some of the Indo-fusion designs can even be used for an evening out or worn with a formal dress. ‘Reinvent your traditional polki jewellery by wearing a long polki haar with an evening gown – it will be a definite conversation starter and a bold fashion statement,’ suggests Kalyanaraman. And as diamonds are one of the most versatile of stone jewelleries, they can easily transform a day look to an evening one. According to Rashi a delicate polished diamond set in white gold along with a tennis bracelet and diamond earrings can be worn both for a morning and evening out. In fact she suggests that every woman should have a few statement sets in precious and semi-precious stones in their jewellery box. ‘My choice would be a beautifully handcrafted diamond, blue sapphire and emerald bracelet that would surely make heads turn. Or a pair of polished and uncut diamond earrings studded with rubies and south sea pearls,’ she says. Precious and semi-precious jewellery sure have timeless appeal. But these rare gems also need adequate care. ‘Taking care of jewellery is very important, especially colour stones as they are more delicate than diamonds,’ says Kumar. Inspect your jewellery at least every six to 12 months if you do not wear them regularly. As certain stones are vulnerable to extreme heat do not expose them to excessive light. Do not sleep wearing your stone jewellery as there are chances of it breaking, bending and loosening. Even a regular clean-up with a microfibre polishing cloth at home is a quick way to get that gleam back. Go on, dazzle this Diwali!